Targeting the prime minister over the delay in summoning Parliament, the Congress leader alleged that democracy has suffered a "big jolt" under the Modi government. NEW DELHI: Taking a swipe at Prime Minister Narendra Modi, leader of the Congress in the Lok Sabha Mallikarjun Kharge today likened him to "Brahma, the creator", who controls everything, and said he alone knows when the winter session of Parliament will be convened. Targeting the prime minister over the delay in summoning Parliament, he alleged that democracy has suffered a "big jolt" under the Modi government. "I have talked to many ministers, the Speaker, Lok Sabha Secretary General, but no one knows the dates of Parliament session. Only one man knows and they call him Brahma, the creator. That's why till Brahma orders, we won't know the dates (of Parliament session)," Kharge told reporters. "Democracy has suffered a big jolt under the Modi government. We term it as Modi 'Sarkar', because BJP members and even ministers in the government do not know anything," he said. Kharge alleged the government was not convening the winter session to avoid facing criticism over issues it was uncomfortable about. 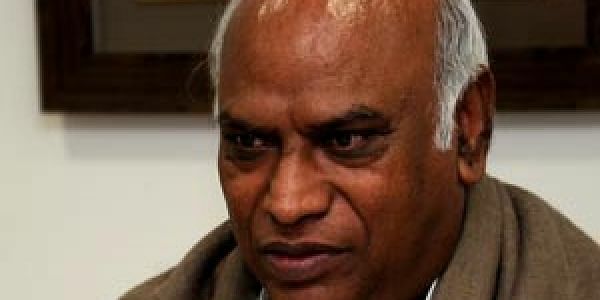 Targeting the prime minister, Kharge said he was working at his own "whims and fancies". "We condemn them (the government) for doing this. For (the sake of) democracy, we should run Parliament," he said. Kharge said the prime minister did not want a Parliament session ahead of the Gujarat Assembly elections, as he feared the BJP will be "exposed". He claimed the government did not want any discussion on issues like demonetisation, GST or corruption.